When in Chicago last fall I stopped by the office of Adrian Smith + Gordon Gill Architecture (AS+GG) to do a studio visit for World-Architects. If any firm is known for tall buildings, it is AS+GG. Sure, there are bigger firms like SOM, KPF, and Gensler that are designing and building this century’s skyscrapers, but they lack the sharp environmental focus of AS+GG. Known primarily for the supertall Kingdom Come Tower, what will be, barring any surprises, the tallest building in the world when completed in a few years, the most striking project I saw on my visit was FKI Tower in Seoul. 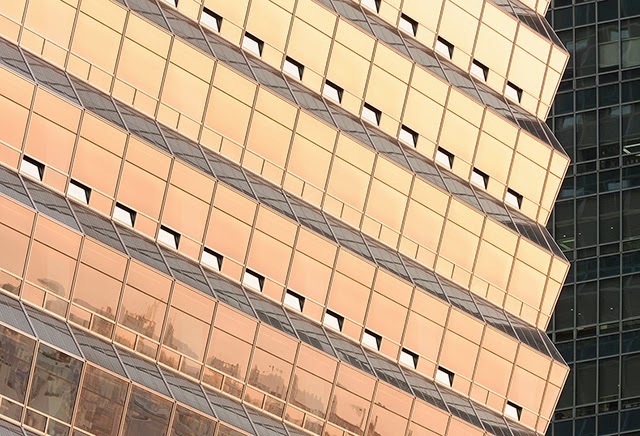 Its serrated exterior is not just a formal flourish; it is a means of integrating solar PVs into the façade to optimize the generation of solar power. 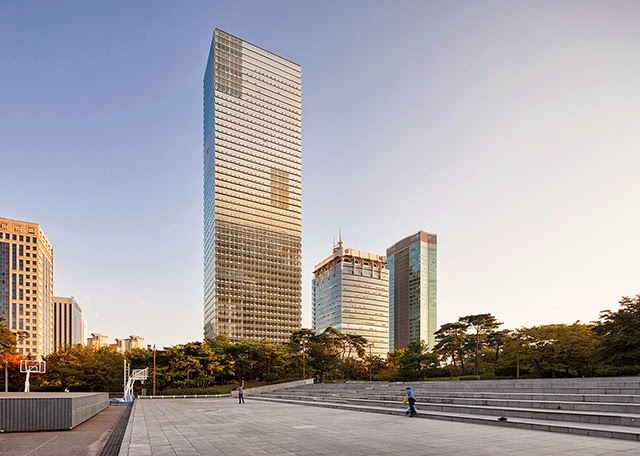 AS+GG is not alone in using form, material and technology together to create more sustainable high-rise buildings, but the FKI Tower is illustrative of an approach where building form/expression and environmental performance become one. Other AS+GG projects make similarly overt gestures and many of those are included in architect Scott Johnson’s book on what he calls the “performative skyscraper.” Just saying a skyscraper is “green” or “sustainable” is not enough these days; those words have been watered down by overuse and they don’t speak to particular approaches. “Performative,” on the other hands, clearly points to making tall buildings perform better, be it in generating energy, decreasing how much energy is used, or some other means of gauging a building’s positive contribution. The term also points to measurement as an integral part of the design process. Johnson’s book, which gathers many recent built, in-progress and unbuilt projects but doesn’t read like a collection of typological precedents, is organized into five chapters that build in scale and ambition, moving from internal environments to urban contexts: Performative Ecologies, Performative Skins, Performative Parametrics, Performative Neighborhoods, and Performative Cities. 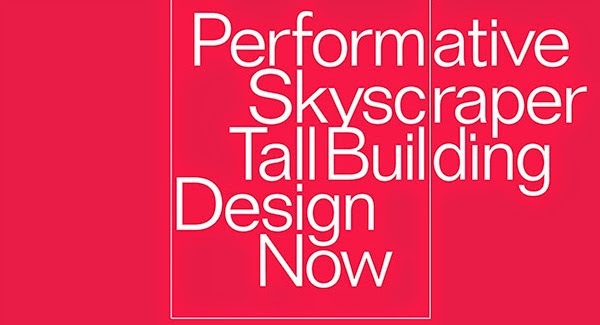 If my assertion that the middle section of a book says more about it than the rest, then the chapter on parametrics is key to Johnson’s argument for building better-performing skyscrapers. The first two chapters deal with a building’s skin and its internal environment, while the latter two chapters move beyond a tower’s enclosure and footprint. This leaves the middle chapter to focus on form and the process of realizing it. Parametric modeling is often seen as a means of creating ever-more complex forms – blobs – that turn cities into playgrounds of odd forms vying for our attention. But this antagonistic view of the implementation of software for architects ignores the benefits of performance that are also a part of them. Sure, parametric modeling enables architects to create malleable forms in the computer, but they can also have measurable data tied to them. Architects can then, for example, analyze a form’s wind resistance or gauge how much daylight is transmitted over the course of a day, month, or year. This process does not have to result in curving towers that look out of place in some contexts, as should be apparent in AS+GG’s FKI Tower, which is basically a modern box with ridged edges. Even with parametricism at the book’s core, the last two chapters made me most optimistic about Johnson’s approach, since he looks at a larger canvas. He examines how tall buildings, in and of themselves or in concert with other buildings in a single project, can contain whole neighborhoods. This is not new (think of Chicago’s John Hancock Center or Marina City – the name says it all! ), but it is happening at an increasing clip, so it is important to focus on the social life of tall buildings. He also examines how tall buildings work in urban assemblages, creating districts and even whole cities that perform better in various ways. Again, this is not new (New York likes to take credit for being traditionally “green” thanks to its density and prevalent public transportation), but if any century is the “century of the city” it’s the 21st, so considerations of urban performance should be part of the decision-making process. That said, it pained me to discover in Joseph Giovannini’s preface that Johnson’s firm, Los Angeles's Johnson Fain, is responsible for Museum Tower, the controversial residential building in Dallas. The building was in the news in 2012 and 2013 for deflecting the sun’s rays into the north-facing skylights of the Nasher, the low-slung and much-celebrated museum designed by Renzo Piano. Like the “Walkie Talkie” building Rafael Viñoly designed for London, whose concave glass façade melted plastic on cars blocks away, considerations of context did not extend far enough when Johnson designed Museum Tower. This blemish contradicts the general idea of thinking of a skyscraper’s performance beyond its internal environment and its exterior curtain wall. In this case the curtain wall most likely benefits those living inside, but at the expense of a prized institution across the street. Regardless, this instance does not directly detract from the arguments that Johnson lays out ever so persuasively, but it does make me wish he would practice what he preaches.